In the only history available on this ever-fascinating subject, readers will meet the many men who competed fruitlessly for Elizabeth's hand and affections. From her childhood—overshadowed by the marital upheavals of her father Henry VIII and the tragic first encounter with courtship, to the fantastical flirtations of her old age, Elizabeth refused to commit herself to any man. During the marriage negotiations, which spanned half a century, romance blended with diplomacy as one illustrious suitor after another endeavored to ally himself to her in the most intimate of treaties. She played one suitor against another, exploiting her situation to the full both for England's profit and her pleasure. 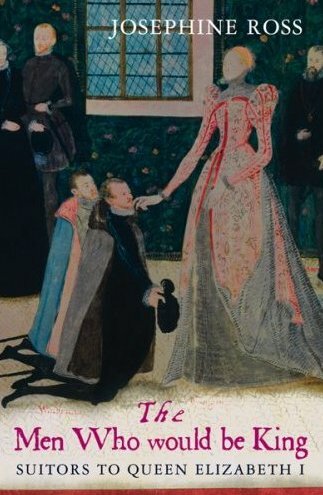 One man did come close to winning her—ambitious, devious Robert Dudley, Earl of Leicester, suspected by many of having murdered his wife, was the most persistent of the suitors to the Queen, and though he never attained the prize he longed for, he was dearly loved by Elizabeth all her life. Thanks for posting this! It sounds really good, and I have not read much about her suitors. The Tudors are an interesting study.